Management of sailfish in the Atlantic Ocean falls under the International Commission for the Conservation of Atlantic Tuna (ICCAT), which is responsible for tuna and associated species like billfish. The first official stock assessment for Atlantic sailfish was completed by this management body in 2009, and identified two separate stocks: the eastern and western. 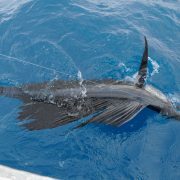 In Florida, anglers interact with the western Atlantic sailfish stock, which was found to be overfished and likely undergoing overfishing. The most recent assessment, done in 2016, states that both sailfish stocks of the Atlantic Ocean suffered the greatest declines in abundance prior to 1990. Since then, the western sailfish stock has experienced fluctuations but no clear trend of a decrease or increase – until the last few years of data, perhaps indicating the steady decline in total catches for western Atlantic sailfish. Significant uncertainty remains about the health of western Atlantic sailfish, although there is a more positive outlook for this stock than the eastern. 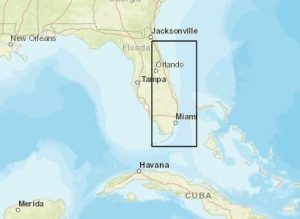 ICCAT’s western Atlantic sailfish stock naturally includes regions beyond Florida. 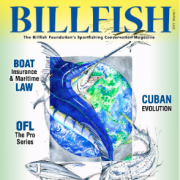 To more specifically look at the population of sailfish off Florida’s Atlantic coast, The Billfish Foundation’s global database can be of assistance. Using the Select Fishing Location feature, sailfish encounters were identified in the area of interest shown on the map to the right. 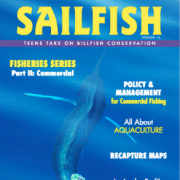 Over 17,700 sailfish records have been reported in the specified area since TBF’s database was established in 1990. 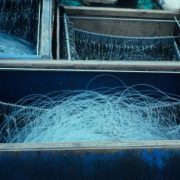 A majority of the fish encountered here were released with tags, accounting for 12,953 of the records, with another 4187 released without tags, and 588 recaptured. 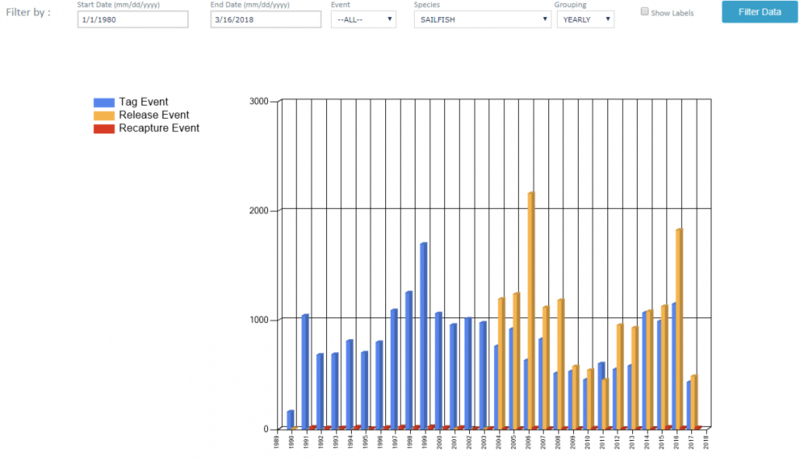 When these sailfish encounter data are put into a graph, fluctuations over time become visible. 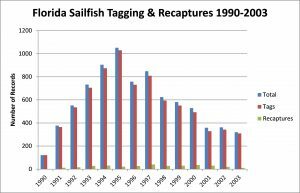 Below, Graph 2 shows all sailfish records in the selected Florida area between 1990, when the database began, and 2003, after which point fish releases were included in the data. Graph 3 shows sailfish records in the selected area from 2004, the first year that release reports began to be included in the database, to the most recent year of data (2017). It can be seen that sailfish taggings began to decline in the late 1990s and did not rebound until approximately 2004. Still, dips were seen after 2004 until a steady increase began 10 years later in 2014. It is a good sign that in recent years anglers are tagging and releasing more sailfish off Florida, at levels that haven’t been recorded since the 1990s. However, the higher numbers in recent years include sailfish releases, which bolster the totals. Billfish releases were not accounted for in the 1990s, and totals from those years would surely be higher if they were. 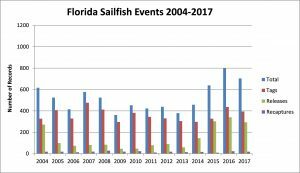 The number of sailfish encounters off Florida has clearly fluctuated since The Billfish Foundation began recording data, perhaps meaning so too has the population. 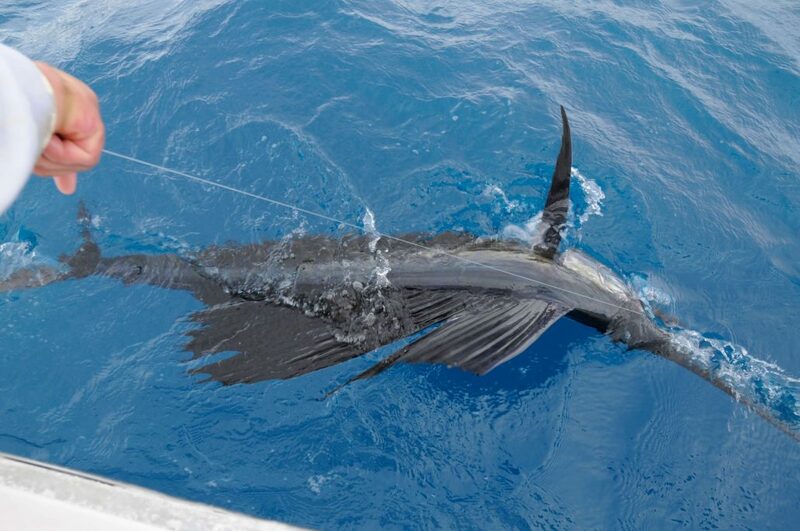 Of course there are additional factors that would influence anglers to tag and release sailfish more or less, including the economic recession in 2008 and its effects in 2009. Unfortunately there is no clear trend, as ICCAT states. In its 2016 sailfish assessment, ICCAT recommends that catches of western sailfish should not increase, and that a reduction would help in rebuilding the stock. 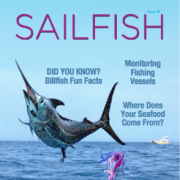 However, the RFMO has not established any international regulations for sailfish in the Atlantic. Some nations, like the United States, have created domestic regulations to sustainably manage the sailfish population in their own waters. 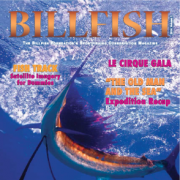 In 2012, the U.S. passed the Billfish Conservation Act, which prohibits the sale of billfish and billfish products, with the exemption of those landed in Hawaii and the Pacific Insular Area. 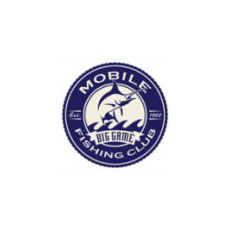 In Florida state waters, minimum size lengths exist for landing blue marlin, white marlin, sailfish, swordfish, and roundscale spearfish, although catch and release is preferred. Anglers targeting these species in federal waters are required to have a Federal HMS Angling permit. All landed billfish, whether in state or federal waters, must be reported to the National Marine Fisheries Service within 24 hours. Anglers can do their part to support the western Atlantic sailfish population by releasing all sailfish in a manner that maximizes their survival. 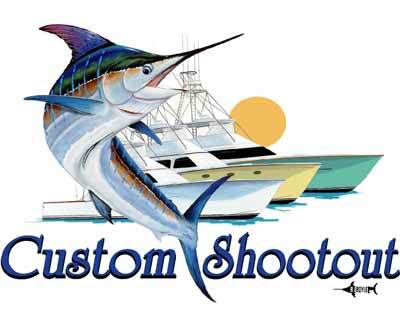 Fish should not be removed from the water (for a picture, for hook removal, or any other reason), and should be revived along the side of the boat before release. 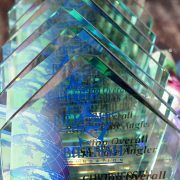 Anglers can also contribute to our understanding of Florida sailfish – and billfish worldwide – by becoming a member of The Billfish Foundation and reporting catches. 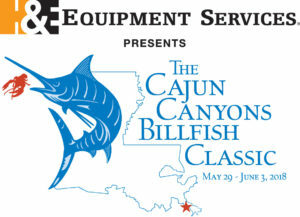 Check out TBF’s billfish tagging equipment here to get started! If you’d like to see more news and research like this, become a member to support our work.